BONTOC, Mountain Province – The road leading to the wonderful tourism sites of Mabarotbot Bubbling Mud, Smokey Hill, Makilo Sphinx, Little Chocolate Hills, Buringal Watefalls, etc. was proposed as tourism road. 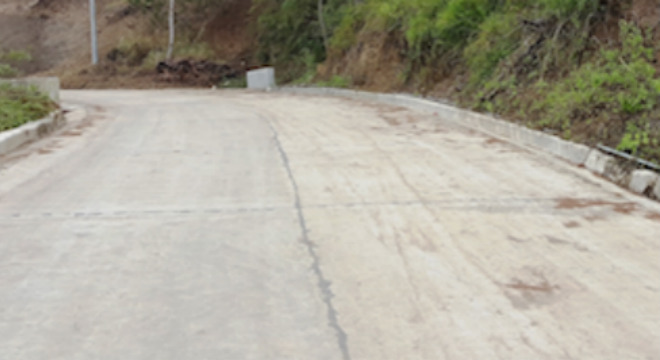 The rehabilitation/construction of the Cassag-Bacarri-Camparadi-Cawayan-Buringal Proper-Sinamar Road leading to the tourism sites involves a dirt and dusty road that will be improved if given the chance as per the assessment and validation by the Department of Public Works and Highways (DPWH) and the Department of Tourism (DOT). According to Engr. Jonel Emingga of the Mountain Province Second District Engineering Office (MPSDEO) based in Natonin and the point person for tourism road convergence program, the proposed project was duly endorsed to the authorities. It was also learned that the supporting documents such as the local tourism statistics and certifications from the Municipal Mayor and stakeholders were furnished concerned offices. The road length is 15 kilometers with the amount of 600 Million earmarked to finance the improvement and concreting of proposed project. Meanwhile, Flora Madanum, the Municipal Tourism Action Officer, intimated that they have exerted their efforts to comply with the requirements meriting its submission to the concerned offices of the convergence project. All stakeholders are praying that the proposed project will be approved in part or in whole. The road length of the proposed project will also cater to the convenience of transporting the agricultural products of the place. Paracelis is known to be the producer of rice, corn, and banana, among others.